The folks at North Hill Mazda are really lovely. They have fantastic customer service and they genuinely want to make sure you are happy with your purchase. I thoroughly enjoyed my experience there!! All staff were very accommodating and courteous. I was very impressed with the test drive of the CX3. 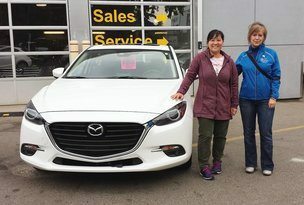 The Sales Associate drove first and took the test vehicle off pavement near the dealership to demonstrate the handling when facing rough gravel or pot holes. He also demonstrated hard braking on a rough gravel surface. I was impressed with the smoothness and stability of the CX3’s handling. (I have driven a lot of vehicles on rough gravel conditions and the CX3’s handling and stability was superior to most other vehicles.) 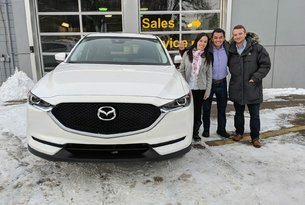 I learned quite a bit about the CX3 during a rather unique test drive. I had narrowed my choice down to two vehicles, a CX3 or a Subaru Crosstrek at the time I took the CX3 test drive. The CX3 fits what I need for a fuel efficient commuter between Calgary and Airdrie that will capably handle adverse conditions when needed. 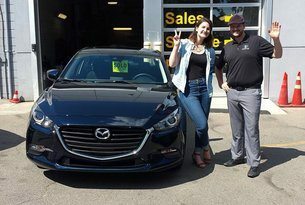 Everyone at North Hill Mazda was incredible throughout the process of buying my new car. Rob Orchard went above and beyond for me, and his team was exceptional with helping me get the car I wanted at a price I could manage. The friendly and professional atmosphere was greatly appreciated as well. Always felt they listened to what I was saying! Love my new car! Thanks for everything you do!!!! As I was a VW TDI owner and waiting for settlement appointment, I was impressed that dealership worked with me to ensure I would have a vehicle available after turning in VW. 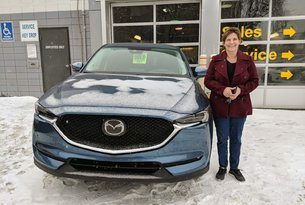 My new vehicle was not ready but a vehicle was made available to me to ensure I would not have to go without while my ordered Mazda was enroute. 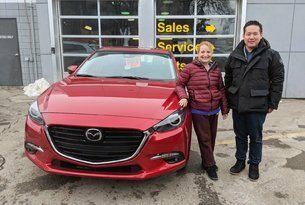 Overall, I had a great experience dealing with Donna and the other people at North Hill Mazda. Made for a pleasant purchase. Thanks to David S. who saved the deal for North Hill at the very last moment before I walk away. Thanks to David who introduced to me the best SUV ride that I have ever had in my 24 years of driving. The level of professionalism of North Hill, enthusiasm, commitment to customer satisfaction is exemplary. Thanks North Hill & Keep it up. David Sosa (Sales consultant) and Robin (Finance) were excellent. 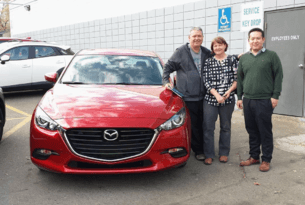 They made our experience of buying our first vehicle a very enjoyable and well-informed one. Alex (sales) and Robin (finance) Daniel (service) were attentive and helpful. Purchase process was smooth and convenient. I believe I received a good deal from the dealer. Therefore I’m happy and satisfied. During couple of days of zoom-zoom-ing I’m pleased with the vehicle. David Sosa was an excellent and professional salesperson and was easily able to answer all of my questions. Once I made the decision, he was able to locate the exact car I wanted to buy and have it at the dealership ready to go within a four days. I appreciate the time that Donna took with me to discuss my needs and show me the features of the 2 models I was considering. She listened to what I wanted and did not attempt to “upsell” me features that I was not interested in. She introduced me to the manager and finance specialist. 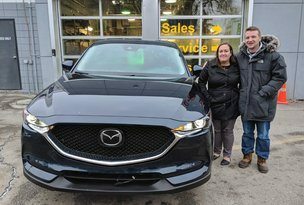 I have had a Mazda for the past 11 years and have greatly appreciated the good service from the service department and this played a significant role in my decision to purchase another Mazda. 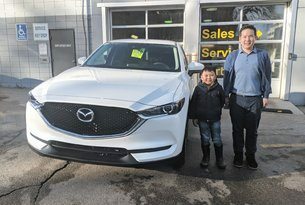 The service staff is always helpful and friendly and Daniel even spoke to me about some of the features of my new vehicle and shared information about his personal purchase of a CX-3. Both he and Donna shared information about the Appearance package and its value and ultimately I decided to purchase this as well. i had a very professional, courteous, informative experience with the salesman, David Hofmann. He took me to a location where I could see the colour of the car I wanted as they did not have one on their lot. He went out of his way to be sure I had the best possible experience buying my new 2018 CX-3. I am so utterly thrilled with my new vehicle that I can’t stop telling anyone who’ll listen. Troy Stephenson was the most professional and non pressuring salesperson I have ever had. He assessed my needs and made sure I was 100% satisfied. Kurt in finance and Lindsay Allen at my delivery were also wonderful to deal with and super knowledgeable. 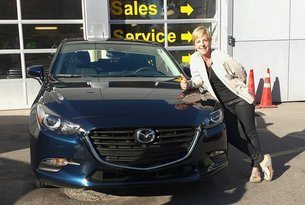 I will not hesitate to endorse North Hill Mazda and my new Mazda. What a great team. From sales thru to finance to delivery. Top notch !! Appreciate the introduction to Service & Parts. I am very satisfied with the staff at North Hill and the experience of buying my new car. There was a bit of a mix up with the paperwork I signed and I actually was signing for a different model than what we discussed. They were very upfront with the mistake, but it did suddenly cost a little more than what we agreed. They did everything in their power to correct the mistake and I left a very satisfied customer. Very friendly staff and very knowledgeable. And I LOVE my new Mazda! This was the most positive experience while shopping for a new car that I have ever had. 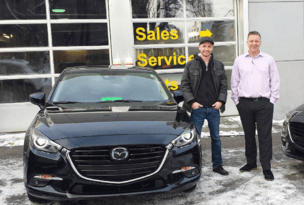 Rob Orchard has an incredible Team at North Hill Mazda. I will definitely recommend them to my friends. 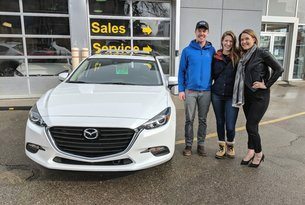 My overall experience with North Hill Mazda was wonderful, my vehicle pick up was in another province in BC, as I do not live in Alberta. I wanted to deal with the Calgary location because it was recommended to me. My pick up from the Victoria dealership was ok & only reason some answers to the survey were only satisfactory was because it could not relate to the Calgary dealership. But my experience with North Hill was awesome & I will recommend them to others and in future. 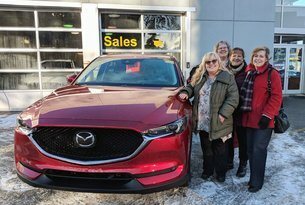 I’ve owned 9 Mazda’s now and they’ve all been purchased through North Hill Mazda and the same sales representative. They treat me very well here and make me feel like family. I’ve recommended them to all the friends and family. 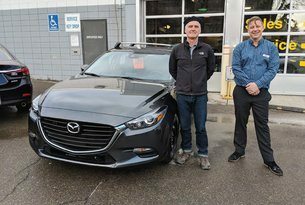 Thank you MAZDA service personnel for your continuing excellent service and support ! I have only good things to say about my experience. From test drive to sale to financing and pickup, the entire process was awesome and exceeded my expectations and experiences from other dealerships. David Hofmann was an amazing sales person. He showed genuine interest in what I was looking for, helping me every step of the way to get what I needed. Thank you for that! The staff at North Hill Mazda always make you feel welcome. Steve and his staff keep you informed as to the status of your vehicle if you are waiting, I appreciate that. My whole process was seamless from start to finish. I want to especially say how great the finance manager Kurt was. He was above professional and knowledgable. He tied the whole process together and made it so simple and stress free. 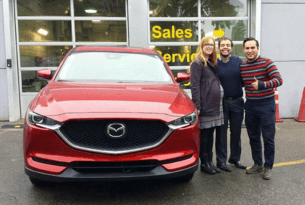 David Sosa the sales manager made extra effort to check in throughout the sales process and even made sure I had a vehicle to use until my finance process was done as my old vehicle was undriveable. The whole team was outstanding and I would recommend them to everyone I know! 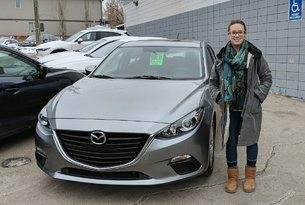 It was a very pleasant experience purchasing my new vehicle.I drove across the city specifically to go to Northhill Mazda. Paulo did a fantastic job explaining all of the vehicle’s features and how it would benefit us on a day-to-day basis. He seemed to be interested in knowing about exactly what our needs are so he can help us find the right solution. David was also very enthusiastic and was great to work with. Overall, we are very pleased with the experience! Very happy again with my experience bringing my car in for service. I really appreciate the time the gentleman at the service counter takes to explain all of the work done and talk me though the vehicle condition. I was also VERY appreciative that they washed the outside of my car! Thank you! The dealership is friendly and accommodating! Great dealership, everyone is friendly, easy to deal with. Daniel is awesome! Give this guy a raise! He is always so friendly, helpful and courteous! Eric was fantastic and went above and beyond to make the whole process as stress-free as possible. I visited a few dealerships, but none of them made me feel at ease the way they did here. 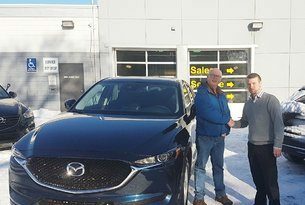 The team at North Hill Mazda are so respectful and helpful, you can really tell they value their customers and honestly want to give their customers the best experience. The atmosphere was very friendly and welcoming, and I appreciated how enthusiastic and genuine David is with both the customers and his team. I couldn’t be more pleased with my experience at the dealership and I recommend them to anyone who is looking for great service and a great car too! I love my new Mazda..zoom zoom! 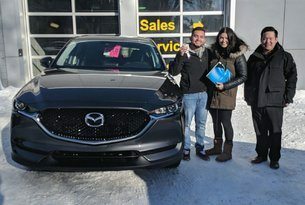 I have purchased two cars from Northhill for myself and one for my brother from Mazda and there new and used salesmen and finance team have been extraordinary, the service has been better than any dealership, and they will have my service for some time to come. My sales consultant Eric Jui is a very nice person. He is knowledgeable about autos and willing to answer any questions about Mazda cars. The financial manager and delivery coordinator are very professional and nice. It’s a very good purchasing experience. David was extremely professional & very personable. He explained everything i needed to know about the car. Did not try to oversell or talk me into something I did not want. 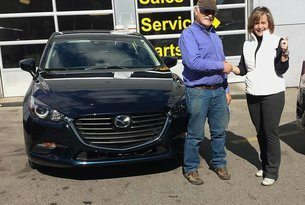 I had been to other Mazda dealerships but felt so comfortable with David I told my husband I wanted to buy my new car from David. He is a gem. I love how they deal with their costumers. Great job!!! Well, being that the pick up day was the biggest dump of snow in Calgary of 2018, I think we appreciated the staff was not surptised to schedule a different pick up day. The following Monday was not much better, but our car is home. 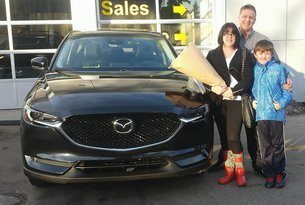 We appreciated the flexibility of the staff during our personal time of loss, which happened concurrant to our car purchase. 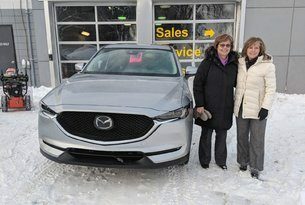 I feel that if I need to rehear how to use this car, the staff at North Hill Mazda will be there to support that need. I love this local and small vibe of Noth Hill Mazda. The sales staff, (Donna and Rob) were excellent. Donna anticipated my needs and ensured that all of my queries were answered promptly, even on her days off. I could not ask for a more professional and experienced individual. Rob, also very experienced, spent time answering many of my queries when Donna was not available. My vehicle was delivered on very short timeline with all but one accessory installed (due to weather transport issues (snow storm!)). 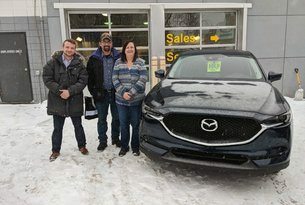 The CX-5 is the third vehicle that I have purchased from this dealership in the past 8 years. 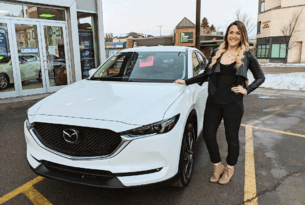 I usually know what I require in a vehicle, and the team at North Hill Mazda is always more than willing to explain the new innovations and have always stepped up and meet my expectations. The entire staff at the dealership have always been very friendly and more than willing to help and offer advice and services. If you’re in the market for a Mazda, this is where it’s at. Eric did an amazing job in showing us around and helping us find our new car. 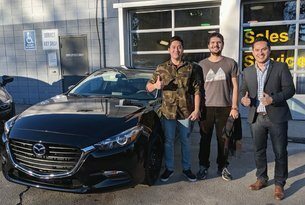 We already knew which car we wanted to purchase, but he was very knowledgeable and letting us know things about the car we weren’t aware of .Honestly, the test drive was my favorite part, and Eric is just an all around great guy. The whole buying process at this dealership was hands down one of the best customer service experiences I’ve ever had. Thanks to Kurt for making the finance process simple and informative. At no point did I feel pressured to sign or felt like we’re another number. Lastly, thanks to Lindsey for taking time out of her day to show around the car. I’ve bought vehicles previously, and never have I experienced having someone take time to show you the car and all its features. It may seem small, but the experience was worth it. Ps. A special thanks to Eric once more for detailing our car prior to pick up. My car floor was dusty and covered sand and gravel from winter travel. I had no time to clean it, particularly as I was travelling between BC and Alberta. The car was returned to me freshly vacuumed. I so appreciated that little gesture. Thank you so much! 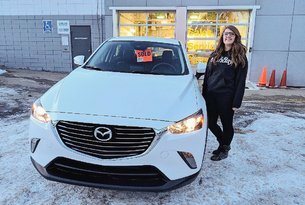 I’m happy with North Hill Mazda! Hands down the friendliest staff I have ever encountered. I always feel well taken care of. The finance manager was awesome!! Got me a better deal than ever imagined. All the staff were polite and treated me as though I was family. 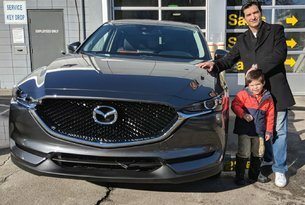 I truly love my Mazda and would recommend friends and family to this dealership. The service I have experienced from North Hill has been fantastic. Not once have I ever felt like I was being ripped off or sold something I didn’t need. Your level of service and the fact that you always seem to charge reasonable prices makes me want to buy nothing buy Mazdas in the future. You guys at North Hill are doing a wonderful job! Eric was so nice that he provided us a very stress-free experience. There was totally no pushing since the test driving one month ago. This sincere and patient guy impressed us so much, he addressed our tons of concerns and made us to nail the deal at last. Wonderful experience. Great people. Love the car! We felt welcomed the time we stepped into North hill, I have worked for a Family business now going on 26years and I know how important it is to have a great team right from the owner, managers, and all the other members, you need people to take pride in their work. Everyone there made us feel important and they all had a lot of knowledge. 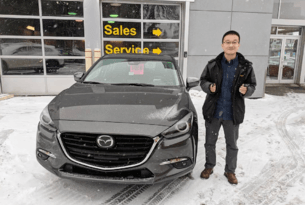 It was to have the GM/part owner come say hi and speak to us I had did quite a bit of research on the Mazda CX-5 and we sure are pleased so far and I hope we have this vehicle for quite a few years. I told our sales rep David that I would not have a problem if we were to hang up postings for what North Hill has to offer as I would share the experience. My wife is the primary driver and she most likely fill this out as well. Keep up the Great work. Overall my services are good. On time and smoothly taken care of. This time however takes the cake. Turns out I needed a major servicing done as I wasn’t told before after my 3 months. I also had a recall needed to be done. I expected to get my car back around 4 like usual but was told I would get it back by 2 (pretty impressed). Got it back by 9 when I dropped it off at 7 ish. Shuttle was also really convenient! Thanks Tailor for the help and making sure I’m up to date. This is the best place for servicing a vehicle that I have ever seen. The service is great because it is timely, the service staff are courteous and helpful and the mechanics are very competent. Team was so prompt and even washed my car, it really made my day! 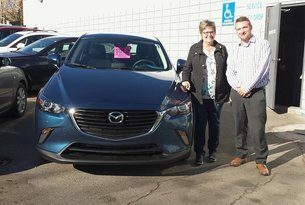 The staff at North Hill Mazda are always very welcoming and friendly. They are always efficient and great to deal with. The staff are always patient and eager to address any questions or concerns I may have. Plus they have went the extra mile several times and even washed my car! 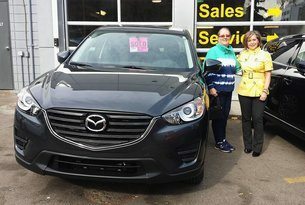 My sales consultant, Katy was amazing to work with and went above and beyond to make the whole process as smooth as possible. I live 8 hours away from the dealership so I appreciate everyone being so accommodating to my needs. Everyone I dealt/spoke with was extremely friendly and helpful, especially David, Eric and Lauren. They made me feel taken care of appreciated and it would be a place I would enjoy returning to and have no qualms recommending. All my concerns were listening to and addressed. I especially appreciated the thorough walk-through of the new car, it made me feel comfortable with it immediately, and I felt as if I could really contact them if anything came up (in fact I did within half an hour). 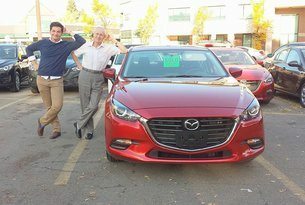 Really great people—they were pivotal at convincing me to go with a Mazda rather than the Honda I was leaning towards. My experience was that my maintenance rep was informative, honest, and willing to make me a satisfied customer by offering all options available. I was kept informed and felt valued. This kind of customer experience makes me want to be a longtime Mazda customer. 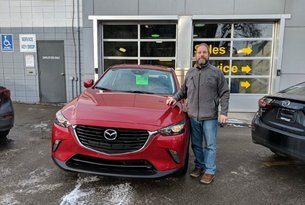 Folks at North Hill Mazda are always easy to work with and helpful. Verbatim. 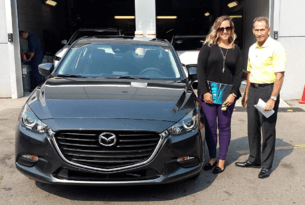 I have tried other Mazad dealership but the main reason that i chose North Hill Mazda was the way that the sales manager (David Sosa) presented the lease offer. Very open and showing all the car options details along with different lease options based on the duration. Good Job! 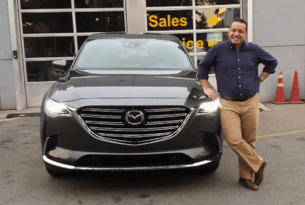 Verbatim I have tried other Mazad dealership but the main reason that i chose North Hill Mazda was the way that the sales manager (David Sosa) presented the lease offer. Very open and showing all the car options details along with different lease options based on the duration. Good Job! 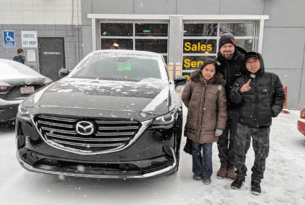 Have had nothing but great experiences with Northhill Mazda. Another pleasant and pain free visit! Can book appointment with confidence knowing that work will be done on time and to high standard. Shuttle service was fantastic – quick and on time! Service desk attendant (Lindsey) was super friendly and went over full service in detail (24K service appointment). Northhill definitely lives up to their reputation and will continue to get my business! The Service staff are always so friendly when I come by to drop off or pick up my vehicle. As well, I always appreciate the complimentary exterior clean-up. Kurt Donna David and Rob were all amazing helping me buy my beautiful new CX3.